The Chicago Blackhawks will take on the Boston Bruins at Notre Dame Stadium for the Winter Classic and they need to turn it into a youth showcase. The Chicago Blackhawks will take on the Boston Bruins at Notre Dame Stadium on New Year's Day for the 2019 Winter Classic. It's always one of the most impressive spectacles of the NHL season and the pageantry helps attract extra eyeballs. Which is exactly why the Blackhawks need to turn the event into a youth showcase. Because if there's any hope for the franchise to salvage what's left of superstars Jonathan Toews and Patrick Kane's careers, they need an infusion of youth that isn't afraid of big moments and there aren't going to be many chances to expose them to those moments for a while. __Play to win:__ [Enter our free contest and win great prizes like Bears playoff tickets or even cash! ](https://betchicago.chalkline.com/) The Blackhawks have 11 players on their current roster who are 25 years old or younger, not counting Henri Jokiharju who is away playing for Finland at the World Junior Championships. But outside of Alex DeBrincat, nobody has come even close to reaching their potential or earned a long-term role with the franchise. That may be because the Blackhawks don't have the right young talent on their roster at the moment or it could be a product of a franchise that is stuck in between trying to salvage this season and planning for their future after winning five of six after Saturday night. Either way, they have to find out what they have in these young players and that means meaningful ice time. So at the Winter Classic, they should be making a concerted effort to put their young players in positions where they have to make big plays to win. And that should start with getting Collin Delia in net. Delia has been sensational since being called up from Rockford earlier this month after Corey Crawford suffered another concussion and it's starting to look like he may have earned the starting role. He made his second start in three nights on Saturday against the Avalanche and that's a move usually reserved for a No. 1 goaltender. And he needs to have a third start in six days on New Year's Eve after standing on his head in his first three starts of the season. Delia has now stopped 111 of the 116 shots he's faced in three games for a .957 save percentage. Goaltenders are streaky by nature, so you can't go as far as to say that Delia is the long-term answer at the position with any level of certainty. 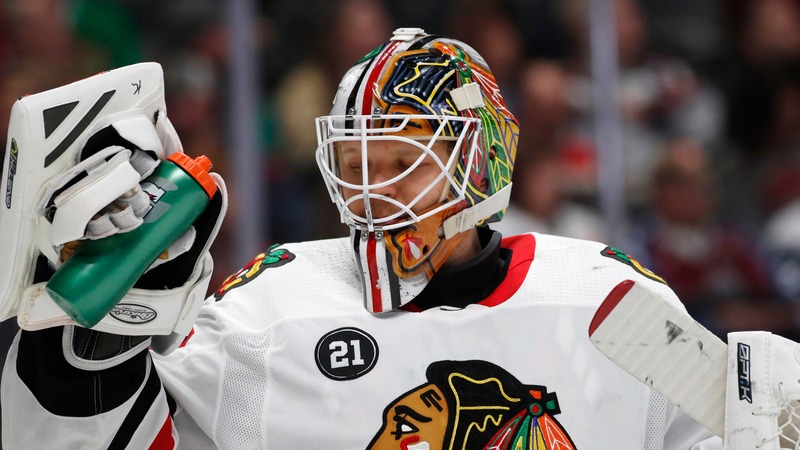 However, the sooner he can become that guy for the Blackhawks, the more pressure it takes off a struggling blue line and the sooner they feel like their goaltending issues are resolved the better off they'll be. __More:__ [All options must be on the table as Blackhawks approach trade deadline](https://www.betchicago.com/blackhawks-trade-chips-options-chicago) Of course, goaltending isn't their only issue. Forward depth and the blue line have also been problems and the franchise continues to be hopeful that they've got in-house answers for those questions. Again, the only way to find out is to give those players more prominent roles. Dylan Strome has earned a top-six role since coming over the Nick Schmaltz trade but the Blackhawks still need to figure out guys like Dylan Sikura, Dominik Kahun and Brendan Perlini (among others). Unfortunately, Perlini and Sikura have only been getting around 10 minutes per night of ice time. The Winter Classic is a great opportunity to give guys like that more prominent roles and to get them 14-16 minutes of meaningful ice time and some productivity on that stage could be a catalyst for the rest of the season. On the blue line, the return of Connor Murphy and Gustav Forsling has helped the overall quality and depth of that unit a lot. They're both getting 19 minutes a night now, but with Jokiharju away the Blackhawks are also leaning heavily on Carl Dahlstrom, who is getting nearly 20 minutes a night. Murphy is already an established NHL defender with top-four potential and a contract that reflects that, so the Blackhawks are expected to see [continued production](https://www.cbssports.com/fantasy/hockey/news/blackhawks-connor-murphy-stands-out-in-loss/) from him to either justify keeping him around or to enhance his trade value. However, having either Forsling or Dahlstrom take a leap forward would be huge for their blue line rebuild. Against the Bruins on Tuesday, over half the Blackhawks roster should be 25 or younger. And while only a couple of those guys will have hands in the next wave of Blackhawks success (if there's a next wave), this is an opportunity for the franchise to start sorting this out.